The Swans’ were not expecting such a successful start to the campaign in the Premier League but found themselves starting June in top spot. 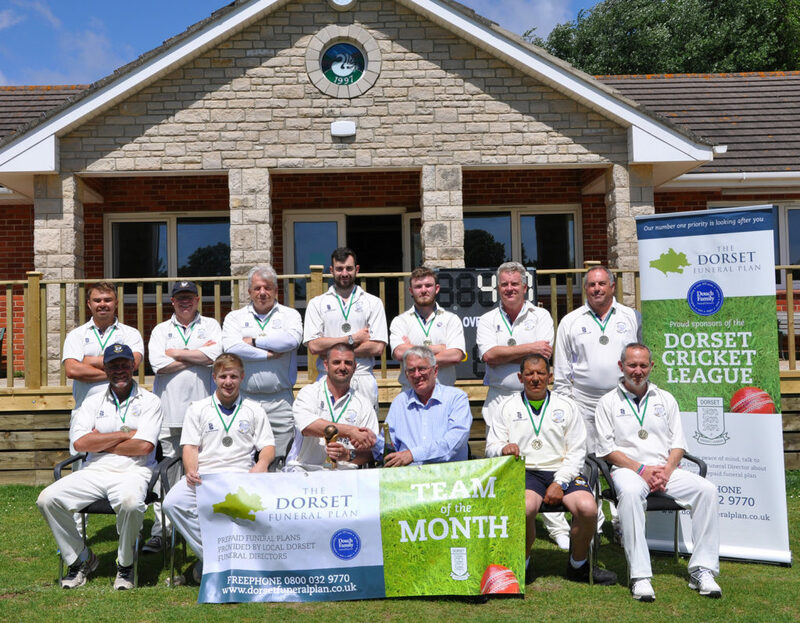 During May they defeated Shroton, Poole Town, Wimborne & Colehill and Shillingstone. Pete Richards and skipper Ryan Norman have starred with bat and ball, while Ian Booth and Ben Baczala have wielded the willow with aplomb. 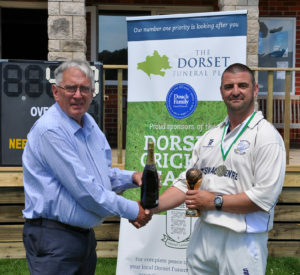 The players were presented with a trophy, individual medals and a bottle of bubbly by Peter Douch, chairman of the sponsors, The Dorset Funeral Plan. Skipper Ryan said: “We weren’t sure what team we’d have out this season so we didn’t think we’d do this well. “But everyone made themselves available and when we have our full side out we’re strong. Peter said: “The ground at Swanage is looking good and the whole club is doing well. And Swanage made it five from five when they defeated Stalbridge in the first game of June.